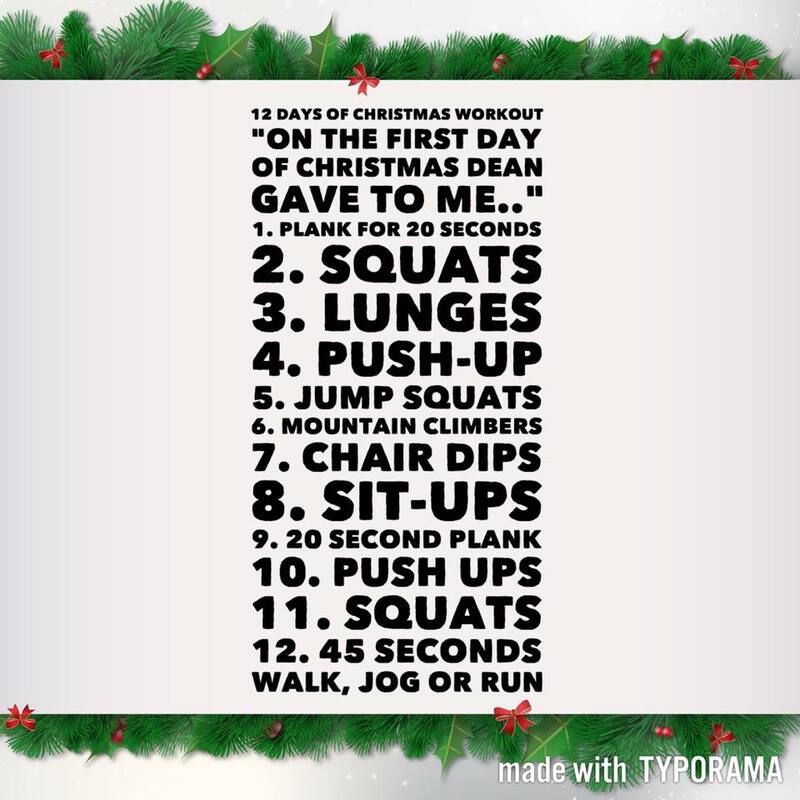 After numerous requests about how to exercise at home during the Christmas period, we put this little 12 Days Of Christmas Workout together. Depending on your level of fitness really does determine how many times you complete this circuit. Just like the song implies on the first day of Christmas (exercise 1) complete 1 20 second plank. On the second day of Christmas (exercise 2) complete 2 Squats, etc, etc. If you are not sure about the exercise it does not matter. Simply insert the exercises you do know or use these guideline to choose the most appropriate exercise for you. The link provided will guide you to some of the more popular exercise applications. Us them as a reference tool for exercise selection. Alternatively, contact Dean Casamento directly to organise your free one on one consultation to prepare you for 2017 or simply to ask a question about the 12 days Of Christmas Workout.